To squeeze the most out of your savings, selecting pocket-friendly hotels is an optimum choice for most travelers. Mount Abu is filled with several best cheap hotels situated in all the corners of the city. redBus consists of a rich combination of many cheap hotels safeguarding comfort and other travel requirements. Many least expensive properties are listed in Mount Abu , it might be a small accommodation yet the guest feels like home and provided much needed attention. If one is planning to visit Mount Abu, you will find many Mount Abu cheap hotels, compare the rates and amenities before you check into the hotel. There are many cheap hotels granting 24/7 unmatched service and security, meticulous attention to guest's concerns. Try to check these low price hotels located close to bus stops, railway stations or markets, this will help to make complete utilization of your basic requirements. Compare hotel prices, facilities and you shall make an informed decision before confirming your stay. Be sure of all the deals/discounts running in redBus in order to save more money. We have many interesting offers available on least expensive hotels, why not save a little more when you have a chance to do so! Saving always put a smile on your face. Wouldn't you love to save little more in your hotel booking process? 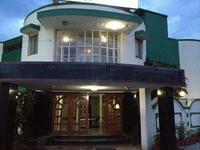 To take up enticing deals and offers available in Mount Abu, we advise to book your ideal hotel room in advance. Any concerns? A dedicated Customer Support team is always at your Service. Feel free to get in touch!